These workshops are designed to introduce a range of embroidery techniques including drawing with stitch, couching and appliqué. Taking visual inspiration from the local landscape whilst focusing on the border, on Brexit and what it means to you. Starting with a basic running and back stitches, progressing to more complex techniques such as appliqué, French knots and needle weaving. The aim of these workshops is to create small-embroidered samplers using the taught techniques, working towards a final embroidered artwork. 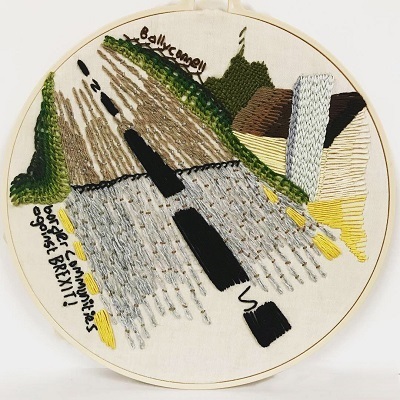 The workshops will be facilitated by our Northern Irish Artist in Residence living in Edinburgh / based from Aughakillymaude during the months of May & September – Nikkita Morgan. Please book early to ensure your place NB workshop places are limited and are FREE. 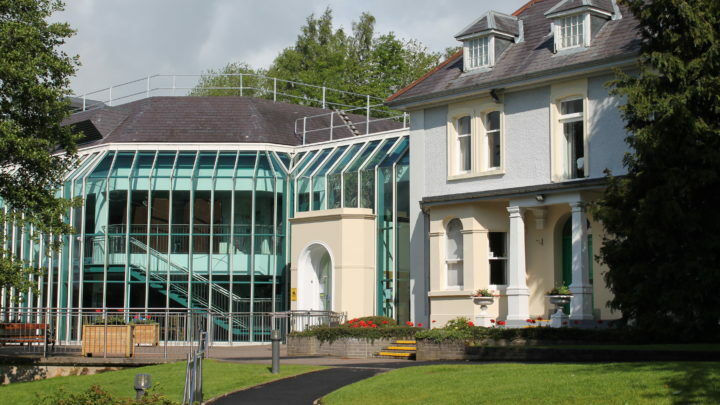 Artsland, co-funded by Fermanagh and Omagh District Council and the Arts Council of Northern Ireland’s Local Government Challenge Fund.